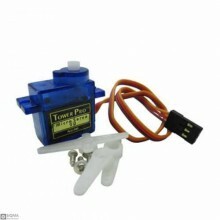 Description:Tower Pro SG90 is an ideal servo motor for little mechanism. 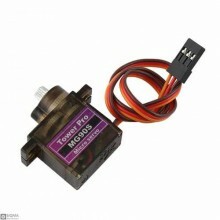 It ıs fully compatible with.. 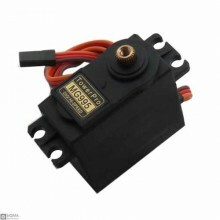 Features:Dimensions: 22.8mm x 12.2mm x 28.5mmOperating Speed (4.8V no load): 0.1sec / 60 degreesOper.. 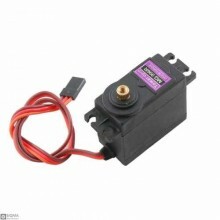 Features:Modulation:DigitalTorque:4.8V: 9.40 kg-cm) And 6.0V: 152.8 oz-in (11.00 kg-cm)Speed:4.8V: 0.. 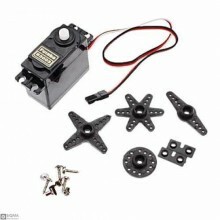 Features:Dimensions:44mm x 20mm x 40mmrotation Angle: 180 degrees (90° left and right)Output Shaft S..